Ask a hundred guitarists about strings and you will get a hundred different preferences – makes, gauges and composition. 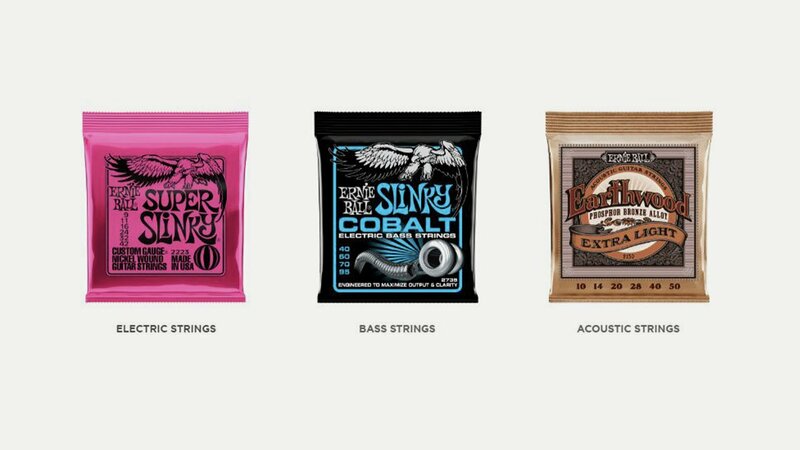 Strings come in different types for acoustic and electric guitars, can be coated or uncoated, wound or flat wound and in a myriad of gauges which can be thoroughly confusing. So where do you start? Every guitar will come with the manufacturers recommended string gauge – if you don’t know what this is ask a dealer or look it up on-line. However a number of factors will apply when you are deciding which guitar string gauge (the thickness/diameter of a string) to use, such as the type of guitar it is and its scale length, the style of music you play and the sound you want to create. There are so many different sorts it can be very difficult to know what strings are right for your guitar and you. Guitar strings are either made of nylon or steel. Nylon strings don’t hurt your fingers as much as steel strings which can be a factor when you are learning to play. Generally though most players will have a steel strung acoustic or electric guitar. Acoustic guitar strings are generally made from phosphor bronze which won’t work on an electric as the pickups won’t function properly with them. So what is string gauge? Super Heavy (0.014 – 0.058) Jon Gomm for example uses 0.015 – 0.068 strings on his acoustic! Which gauge of string you use is down to personal preference and whether or not your guitar can be set up to take them – heavier strings put more tension on the neck which may bend it slightly, altering the action and you may get buzzing on some frets and tuning problems as well. Some acoustics are not built to be played with heavy gauge strings. As a general rule acoustic guitars have medium to heavy strings and electric guitars medium to light. Heavier gauge strings tend to produce a higher volume but you will need to use more pressure with your fingers behind the fret, which can hurt, because the tension is greater. They tend to hold their tuning for longer, give more sustain and sound bigger and fuller. The downside is that they are harder to bend, so if you play a lot of solos they may not be for you. Lighter strings have a thinner but sweet sound, with less sustain. They are easier on the hands and they are most often used for lead guitar playing. They are good for techniques like bending, legato, slides…but can break easily. Many electric players like light strings because they can have a really low action with them, which helps with solo playing. Changing the string gauge can have a dramatic effect on your playing and the sound you want so go experiment!